The intention of givINTEL is to bring added dimensions to the data we collect, to reveal the back stories and contribute to the knowledge base of the generosity ecosystem. For the first time Wellington Funders have come together to map the current funding distribution in our region. The Wellington Funding Mapping Project (WFMP) is an initial report covering the numbers of successful and unsuccessful grant applications according to sector, project type and target beneficiary group. These four funding fact sheets are snapshots of what Generosity NZ has learnt about funding: in the Wellington region, for Māori, for Pacific Peoples, and in the Business Giving community. The Business Giving report, first released at the Good Business Egg Awards 2015, aims to contribute to effective and efficient decision-making for those involved with or interested in Business Giving programmes and community engagement activities. The intention is to grow the data behind the report and bring more and new information into the sector that continues to activate the potential that is Business Giving. 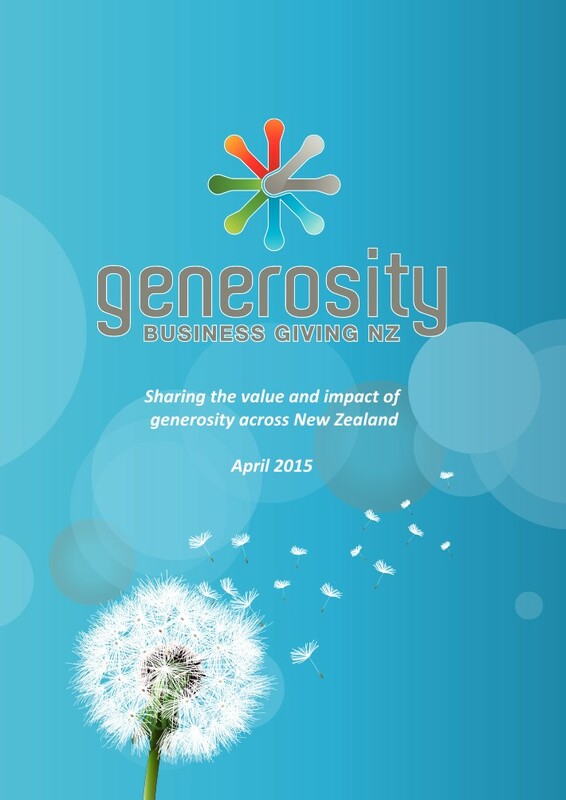 Through the stories in these reports, the questions posed and the ongoing work programme Generosity NZ hopes to build an enduring legacy of the achievement of Business Giving in New Zealand.